Ex-trainer Duke Nicholson dies. 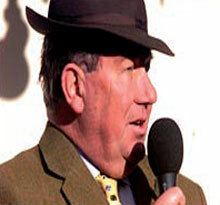 Legendary former jumps trainer David Nicholson has died at the age of 67. The two-time champion trainer, fondly nicknamed The Duke, retired in 1999, having taken out his first training licence in 1968. Among his high-profile winners were Charter Party in the 1988 Cheltenham Gold Cup and Barton Bank in the 1993 King George VI Chase. Based at Jackdaws Castle, Nicholson was champion trainer in 1993-94 and retained his title the next season. Nicholson was also a successful jockey, riding more than 600 winners in a career that stretched from 1951 to 1972. He began as an apprentice to his father Frenchie and rode his fi rst winner in his fi rst ride at Chepstow in 1955. His big wins included the 1968 Whitbread Gold Cup on Arkles great rival Mill House while his best season in the saddle was in 1966/67 when he had 63 winners. 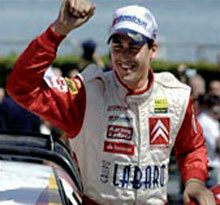 to race alongside Frenchman Loeb as Citroën Sports second driver in 2007. Sordo has been a revelation this season, earning three podium finishes to leave him lying third in the standings with five races left.